2018 marks the ninth consecutive year West Virginia has finished last in the nation in terms of well-being, according to a Gallup-Sharecare report. Research also shows that hopelessness and isolation have led to a severe drop in life expectancy among West Virginians. 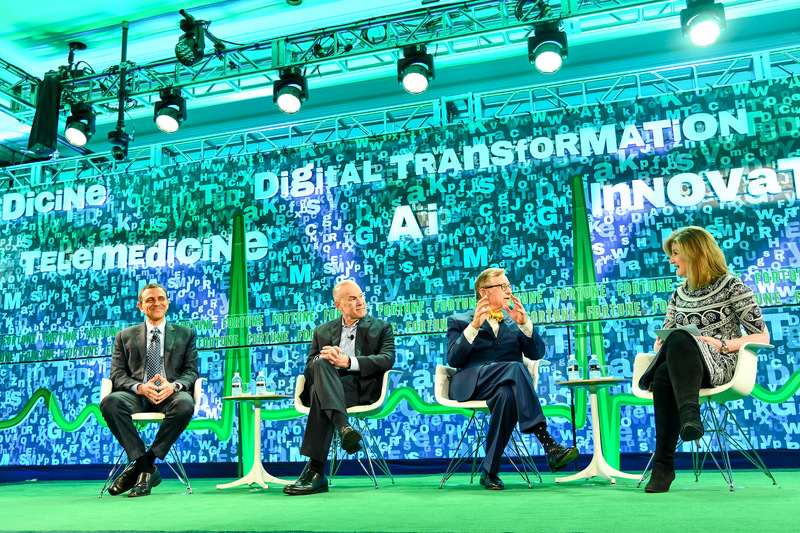 At the 2018 Fortune Brainstorm HEALTH conference on Tuesday, a panel of West Virginia University representatives, moderated by Thrive Global Founder and CEO Arianna Huffington, addressed the state’s well-being crisis. Every week, 600 opioid addicts visit clinics in West Virginia, but despite the best approaches, over 50 percent of treatments fail, explained Dr. Ali Rezai, the Executive Chair, Vice President and Associate Dean of WVU’s Rockefeller Neuroscience Institute. Dr. Clay Marsh, WVU’s Vice President and Executive Dean for Health Sciences, echoed his sentiment, calling the American healthcare system “backwards.” He said the United States spends twice as much on healthcare but achieve “next to last outcomes” of all developed countries. With 1.8 million residents, West Virginia is large enough to have “every problem in the country” but also small enough to have the solutions, said Dr. E. Gordon Gee, WVU’s President. In partnership with Thrive Global, the university plans to use cutting edge technology like wearable sensors, heart rate tracking and virtual reality to intervene early in cases of opioid addiction and chronic pain — two immense problems facing West Virginians, according to Rezai.